The Kings Forest is just 4 miles outside Bury St Edmunds, easily accessible from East Anglia, London and the East Midlands. Provides a wonderful traffic free course on forest tracks. This event has been authorised by the Forestry Commission. Ultra-Marathon race forms part of Positive Steps Grand Slam. The other races are the Peddars Way Ultra and the Norfolk 100km. All three events must be completed in any order in a 12 month period to be awarded the Grand Slam tankard. Medals: All finishers will be awarded a bespoke medal. Refreshments: Checkpoints with water, squash & sweet/savoury snacks. This is a one lap flat course for half marathon and two for marathon, Ultra runners will continue to complete a 3rd lap of 4.8 miles. The course will be clearly marked. There will be drinks stations approx. every 7 miles. The course is off road* and traffic free using footpaths and tracks across breckland and in the forest. 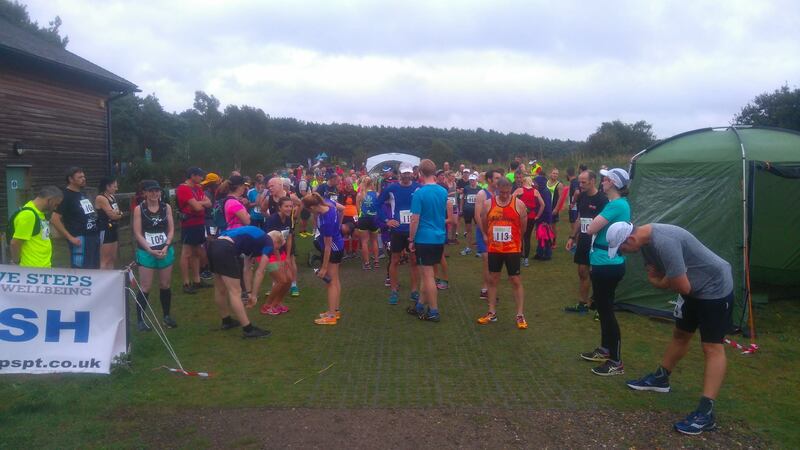 * At the beginning and end of each lap runners will cross the road back into West Stow Country Park. These are the only road crossing and will be marshalled. The surfaces are generally good, and are suitable for normal road shoes. The course has not been measured by a UKA approved course measurer, therefore all distances are approximate. Dogs: England Athletics insurance does NOT allow dogs in races. It is with regret that no dogs will be allowed on this race.